Pa Kou Xiong has been serving Long Beach and the surrounding area for several years as a freelance makeup artist and has earned a reputation for some of the most stunning results. She focuses on enhancing your natural beauty. This means that she will listen carefully to what you want but is also available to give you expert tips on what will make you look your absolute best. In addition to providing a flawless look, reviews continually compare her work to getting permanent makeup as the results last for such a long time. 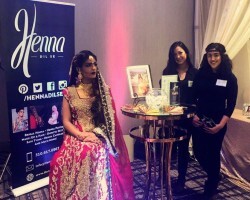 Nadia Ali is the genius behind Henna Dil Se and has been providing her services to brides throughout Long Beach for over two years now. She focuses on providing bridal henna as well as general wedding hair and makeup, so you will be covered for any look you are trying to create. Henna Dil Se has become known throughout California for providing the highest level of quality with a huge amount of creativity. As this professional has the experience necessary to provide the exact services you want she is also competitively affordable. 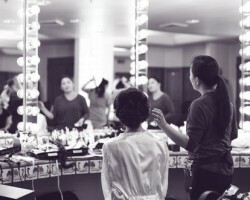 Why settle for one artist when it comes to your wedding day when you can have a whole team making sure you look stunning? Atlantic Studio 425 have a full range of stylists that work exclusively in their field but they also have a team specialized to helping brides on the big day. 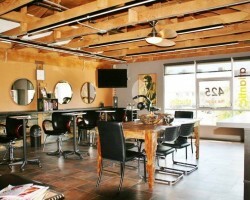 This salon has been based in Long Island for over 30 years and has grown in reputation and size over this time. Over the years, they have maintained the highest standards and some of the most competitive prices in the city. For almost three decades Tina’s Bridal Hair and Makeup has been helping women look their absolute best for their wedding day. Tina, the owner, founder and head artist, loves what she does and after she had worked with her first bride she knew she had found her passion. Not only is Tina an award winning professional but she is also one of the friendliest in the state. Unlike any other makeup artist in Long Beach, CA, Tina spends the necessary time getting to know each client so she can highlight all of their best features. Simply viewing the before and after gallery of A Perfect Look will have you convinced that this service is the best choice for you. These experts are destination wedding specialists which gives them an edge on the Long Beach makeup artists that are confined to the one area. 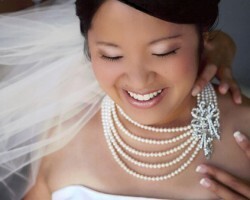 Each of the professionals that you work with will have assisted brides look their best all over the country. Whether you are looking for talented hair stylists or want long-lasting bridal makeup, this team is the ideal option for you.